I am working on fixing up a 1960's Phoenix Roadster. 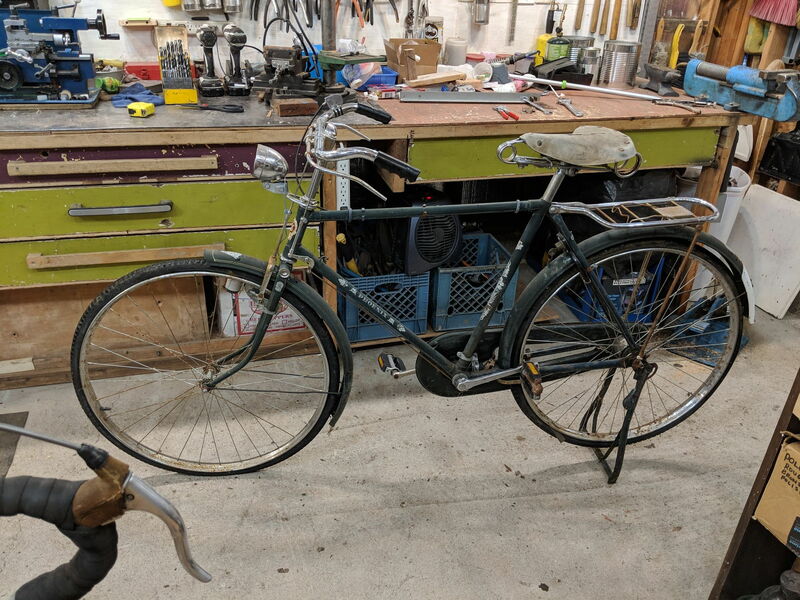 I know very little about this bike and could use some help with identifying what's on it, how to tune it up, and where to get replacement parts. I'm not wedded to a true restoration, just want it to be in good shape to ride. 1. It's got a 1960 S-A 3spd hub, is there a standard chain size for this? 2. I think the wheels are 28" westwood rims, not sure tire size. What size/model tires and tubes should I buy? 3. Is there anything special about the spokes? Or can I just take it apart and measure them to get replacements? 4. Any suggestions on upkeep, frequency of tune-ups, things to watch out for? Get your post count up and post some pictures. It really helps. As for #1 it is most likely standard singlespeed 1/2" X 1/8" chain. It is probably stamped on the cog as well. Compare it to a derailleur chain and you will find it to be more narrow. Rod brakes! Gotta love it. I'm not positive because it's Chinese, but 28" x 1 1/2" (635mm) tires are what this type of bike usually use. @CO Hoya, how'd you do that??? Thanks for the assist!